As those of us who refuse to shell out for restaurant meals on Valentine’s Day start to plan fancy romantic dinners cooked at home, chef Abbi Merriss shares a childhood lesson on how NOT to impress your loved one in the kitchen. Those of us who wouldn’t be caught dead paying Hallmark holiday prices for restaurant prix fixe meals on Valentine’s Day are starting to make plans for a cozy dinner at home, and inevitably, we’re scheming about something impressive we could cook to wow our beloved. To get inspired, we’ve been chatting with chefs about what they make for special occasions at home. Indianapolis chef Abbi Merriss of Bluebeard was reminiscing about one of the first times she attempted to make a special meal for her mother. Moral of the story: Maybe it's the thought that counts, but keep a fire extinguisher handy. 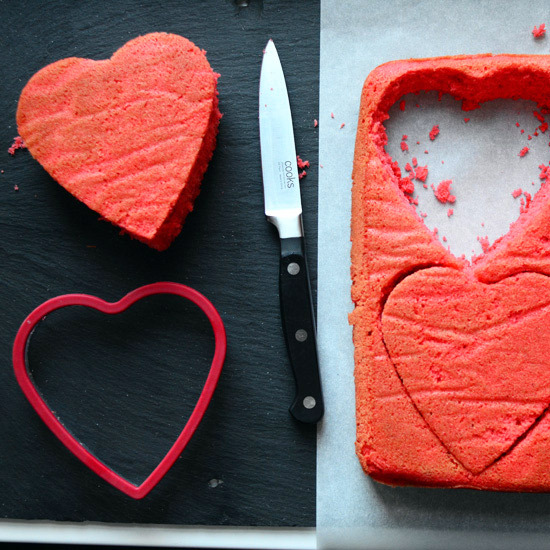 And heart-shaped food always tastes good—but cakes might be safer than burgers. Below, our suggestions for other less-flammable ways to express your love.